NOTE: This section assumes that you have already deployed a Bitnami Multi-Tier Solution from the Amazon Web Services (AWS) Marketplace. Bitnami Multi-Tier Solutions separates in different layers the application and the database. This means that you can manage each instance individually from its specific console. 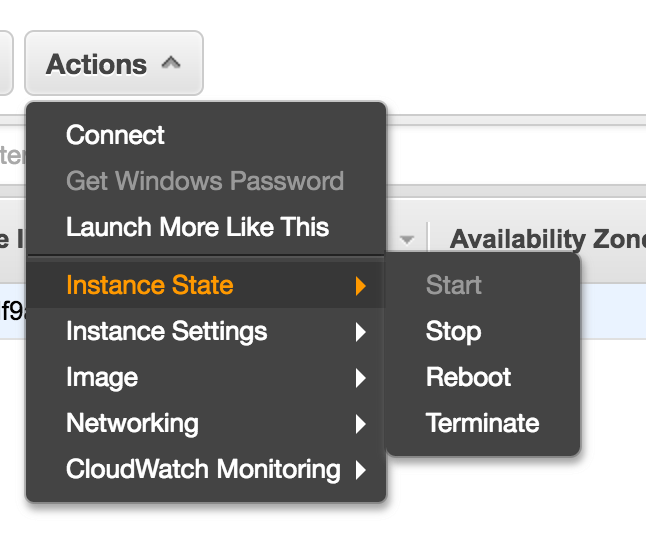 Log in to the Elastic Compute Cloud (EC2) Console. Remember that ID_INSTANCE is a placeholder, replace it with the id of the instance you want to stop. Log in to the Amazon RDS dashboard. 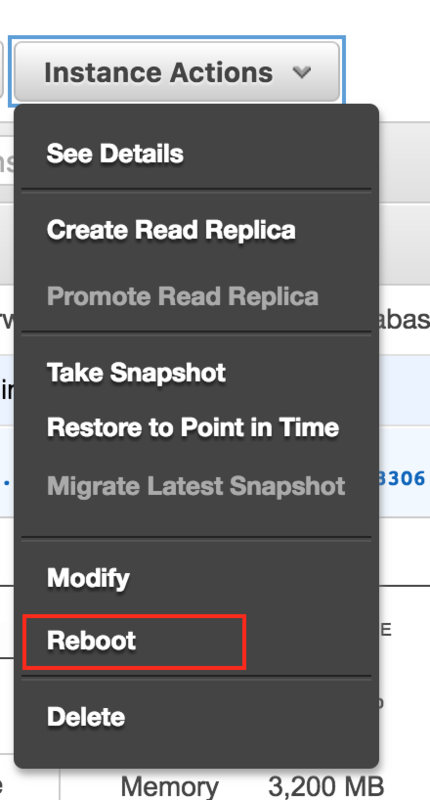 Click the “Instance Actions” button and select the “Reboot” option.